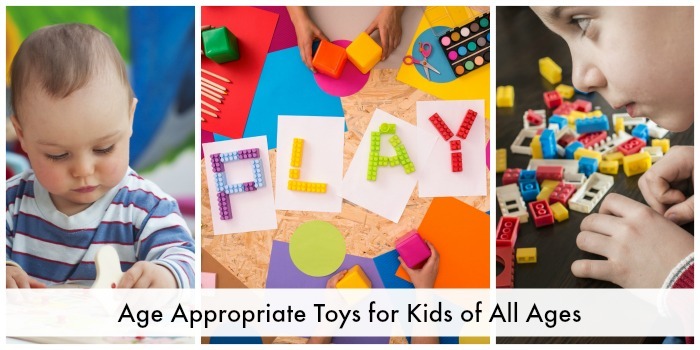 As your child grows, you’re going to want the top baby toys that are right for your child’s age. Today, I’m helping you understand the right baby toys for your 9-12 months old. The stage between nine and 12 months is full of more physical, cognitive, social and emotional development. This is a time when most babies begin to walk unassisted and explore the world at their own will. Language begins to develop and you have a much deeper communication with your baby. This post contains affiliate links. At this stage, your baby will use gestures that maybe he or she saw you doing. Some babies begin to walk at this stage as leg and back muscles begin to get stronger. They start to have better balance with their bodies, and are able to reach for items without tumbling over. With the development of deliberate and controlled movement, your baby will continue to enjoy learning letters, numbers and shapes with toys that include lights and sounds. This is also when you would start introducing colors with decorative interactive toys where you can help your baby recognize the different colors. Blocks are also still a great option, as your baby will love building and knocking down blocks. Skills are maturing quickly at 10 months and your baby will definitely show you what he or she prefers. The understanding of the mechanics of their environment increases during this time; therefore, you may want to use toys that engage curiosity. 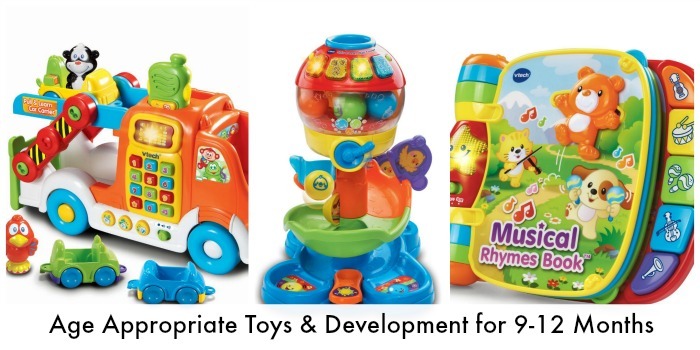 These toys include lots of busy activity with different things for your baby to learn and discover on his or her own. Your baby may also start walking at this age. 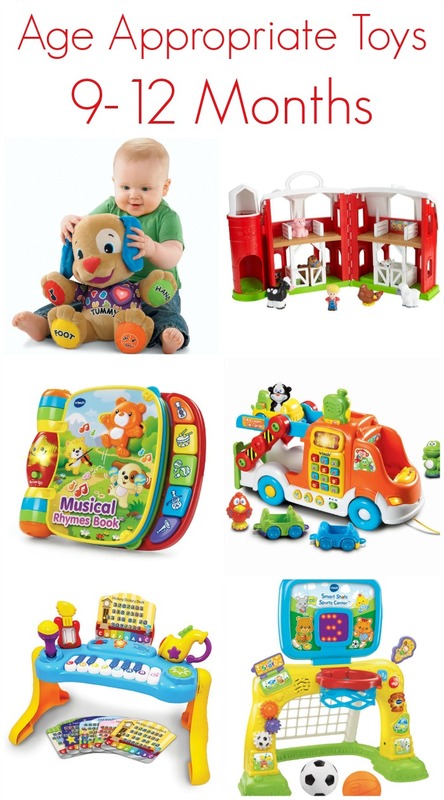 Beginner educational toys with lots of color, sounds, and buttons intrigue your baby more at this age. Pick toys that now teach words, as your baby’s language is also starting to develop. Your baby will also begin to understand sequence, so baby puzzles are great for this age. Your baby’s learning is increasing rapidly, so this is the time to provide the encouragement and acknowledgement of things that he or she does. This reinforces their desire to keep learning. Your baby may begin walking unassisted at this time, and may no longer like the push walking toys. He or she is starving for learning, and still wants to see lights, sounds, and music happening when they do something. Your baby will also start to understand the difference between large and small objects. Toys that encourage the placement of objects into a box that are of different sizes encourage cognitive development. At this age, as role playing continues, you may also notice that your baby loves play phones with lights, rings, and maybe even talking. At the age of 12 months, your baby has reached a milestone of learning, discovery, and physical development. This is when learning takes on more discoveries and language begins to develop into much clearer words as your baby understands what you are saying. Now that your baby is mobile, he or she will have no problem reaching for items that he or she wants. Your baby will love more detailed activity sets, such as a doll castle with figurines and moveable parts, or a farm with animals that have doors and windows that actually work. You may now introduce riding toys, such as push cars, where your baby can use his or her leg strength to move around a room. 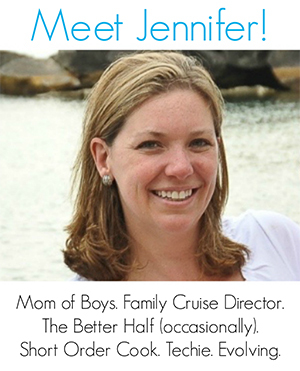 Find more development toys for children of all ages on Mommy Evolution!